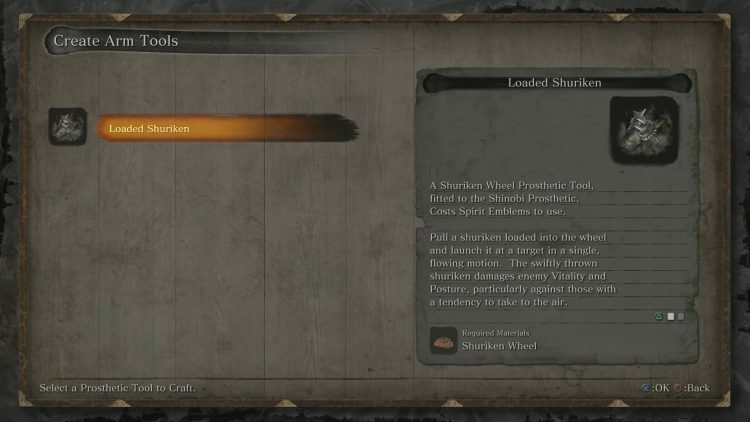 In Sekiro, the main character, Wolf is given a fake arm called the Shinobi Prosthetic. This limb is capable of a number of interesting abilities and can be upgraded further with even more upgrades. Below I will show you how to upgrade the Shinobi Prosthetic in Sekiro. In order to upgrade the Shinobi Prosthetic, you must find and collect upgrades out in the world. These upgrades are items which, when found, allow you to add new abilities to your Shinobi Prosthetic. Once you do have an upgrade, return to the Dilapidated Temple and speak with the Sculptor. You will talk about finding a new upgrade and he will tell you what it does. Once you’re done speaking select Present Shinobi Prosthetic > Fit New Prosthetic Tool. Once the upgrade is complete, you will have a new ability. To purchase upgrades you will need to have Spirit Emblems which can be purchased at Sculptor’s Idols or found off of enemies. If you want help finding the different Prosthetic Tools throughout Sekiro, take a look at our guide here. The Mechanical Barrel is an upgrade for the Shinobi Prosthetic which is acquired after beating Gyoubu Masataka Oniwa. Take the Mechanical Barrel to the Sculptor to gain the ability to upgrade Shinobi Prosthetic abilities. These upgrades are done through the Sculptor and use a combination of sen and Scrap iron. 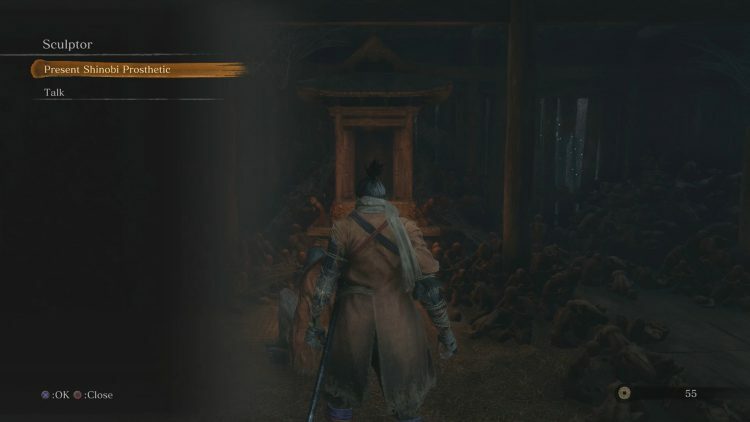 Thoughts on our how to upgrade the Shinobi Prosthetic in Sekiro guide? Drop them in The Pit below. This is actually incorrect. This is how you acquire new prosthetic abilities. Not how you upgrade them. Thanks! I’ve since updated the post to reflect that information.